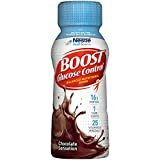 Boost Chocolate Nutritional Drink is designed to supplement one's diet with liquid nutrition. The caffeine content will vary depending on the flavor and vanilla or other non-chocolate flavors would have no caffeine. We arrived at the caffeine content of Boost in a bit of a humorous way. "Please add the Boost line of products to your website. I had no idea why I was shaking after drinking a boost for breakfast and one for lunch (along with my normal diet coke). I finally called the Nestle hotline (1-800-247-7893) and discovered that each bottle contained 11.6 mg caffeine. That sh** should be labeled! " "I should have said 11.6 GRAMS of caffeine is in each 8 oz bottle of Boost High Protein chocolate drink. thanks!" Rest assured 11.6mg is the correct amount NOT 11.6 grams! 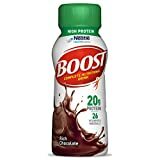 Nestle contacted us and stated that the newer chocolate versions of boost contain less than 5 mg of caffeine. 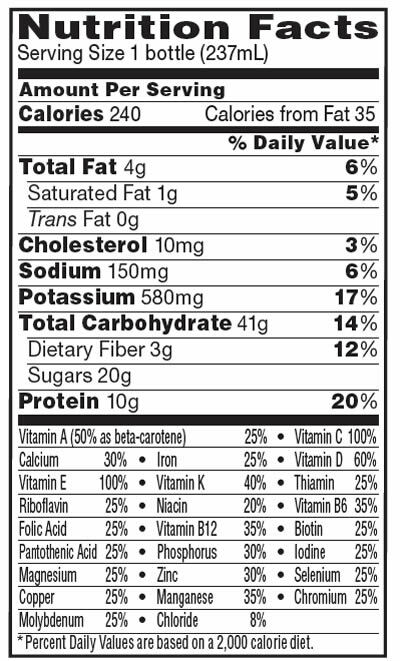 Sugar content: 20 grams (per 8 ounces). How Does Boost Nutritional Drink Compare? Boost Nutritional Drink contains 0.62 mgs of caffeine per fluid ounce (2.11mg/100 ml).